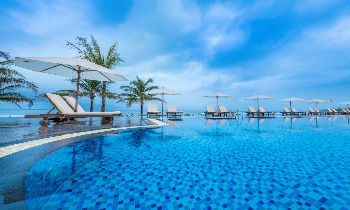 If you want to travel to Phu Quoc and enjoy wonderful things there, surely you can not miss our casino which is considered as the best things to do there. 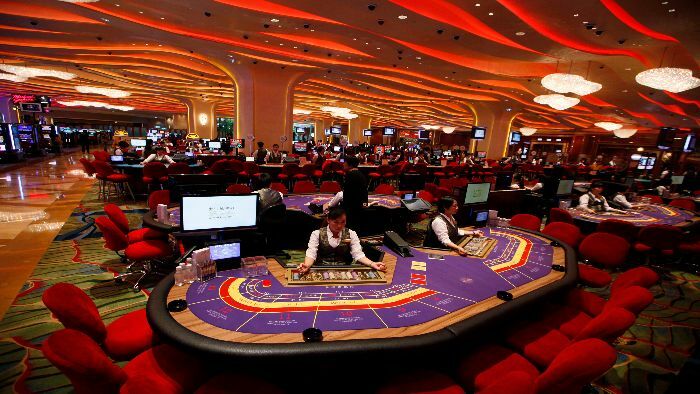 The legal corridor for the form of the casino business in Vietnam in recent years is gradually opening up. In which, the policy of allowing Vietnamese people to play casino has helped many resort projects to be poured billions of dollars to build an international standard casino. This is the opportunity for super-rich people investing in this business form. 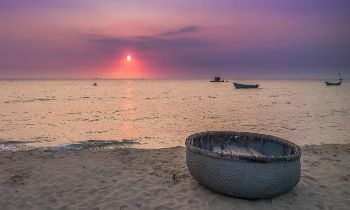 Where is Phu Quoc casino located? 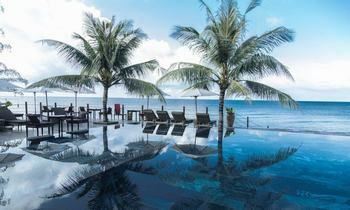 Phu Quoc Casino is located in the Long Beach area, Ganh Dau commune, Phu Quoc island district. This location is next to Vinpearl Land entertainment complex, Vinpearl Safari, Vinpearl Golf, and Vinpearl Resort. Casino Phu Quoc also has regional links with other resort real estate projects such as Vinpearl Phu Quoc, Shophouse Vinpearl Phu Quoc, Vinpearl Grand World Phu Quoc, etc. 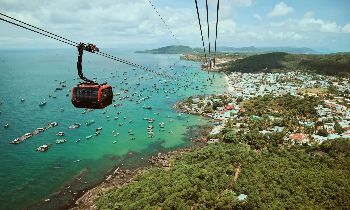 From the center of Duong Dong town or Phu Quoc airport, you will take about 45 minutes to the north with a distance of about 35 km to reach here. 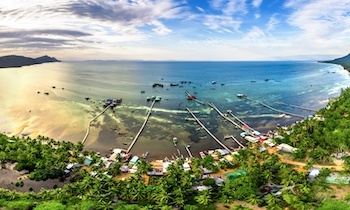 With more than $ 8 billion invested in more than 200 projects in Phu Quoc Island is worth considering. 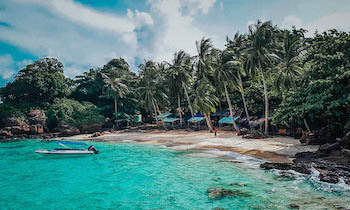 The large-invested Casino in Phu Quoc with a budget of $ 4 billion is expected to be one of the largest activities on the island in the near future. But sadly once again the government does not allow Vietnamese people to gamble in casinos. So now the project continues to operate as it was planned from the beginning and Vietnamese people with foreign passports can still gamble in casinos. 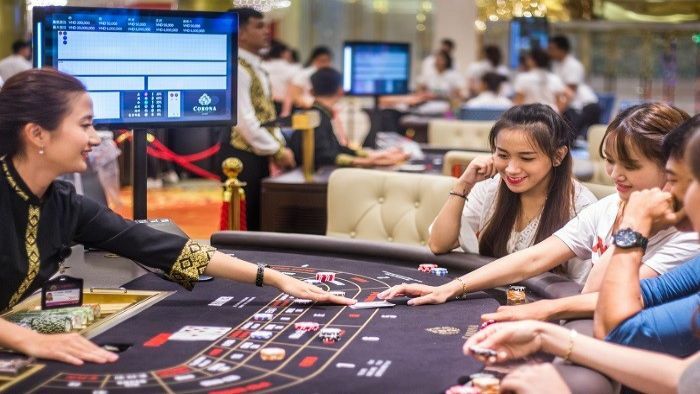 We still hope in the near future all Vietnamese people will have the opportunity to experience all the related entertainment activities in the casino. - The 5-star hotel is divided into 1 block of 7 floors and 1 block of 5 floors. - The 4-star hotel is divided into 8 floors with 1,440 rooms. - The conference center is 18,502 square meters with 2 floors. - The 10,360 square-meter theater consists of 2 floors. 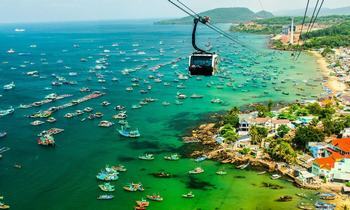 After putting into operation, this will be the top tourist attraction on Phu Quoc Island. Especially, the project is located next to the high-class facilities such as Vinpearl land entertainment area, Vinpearl Safari, 27 holes golf course, Vinmec hospital, etc. These are factors that contribute to increasing the value of Phu Quoc Casino. The resort real estate projects with the casino are always attractive to investors because this is a super-profitable investment field with the potential to increase the best price in the resort segment. Both Vietnamese and foreigners are allowed to gamble at Phu Quoc Casino. Foreigners with international passports will be allowed to enter the casino on the condition that they are over 21 years old, wear appropriate clothing and are not in the state of intoxication or drug use. - Citizens must be over 21 years old. 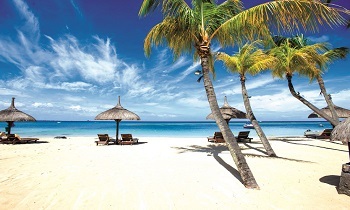 - Proof of income of more than the US $ 440 per month (or VND 10 million per month). - Relatives of gamblers include husbands, wives, parents, children, etc do not object to their playing at the casino. If the complaint is submitted to the local government, gamblers will not be allowed to deposit into the Casino. - Local residents will pay the US $ 44.00 as a daily admission fee (24-hour period) or monthly card registration is fixed at the US $ 1,100,00. - Gamblers do not suffer from alcohol or drug use. - Certified copy confirming monthly income, monthly payroll or salary decision of the agency where the player is working which shows the monthly import from VND 10 million or more. - Certified copy of the real estate contract of a player is still valid in accordance with the law, which shows the total monthly rental amount from VND 10 million or more. - Certified copy of bank savings account, statement of bank deposit account of the player with a term of 1 year or more and monthly interest arising from VND 10 million or more. - Certified copy of the personal income tax return already finalized by the tax authority or the tax office's certification of the fulfillment of the tax obligation proving that the player has taxable income of grade 3 or higher as prescribed at the Personal Income Tax Law within 1 year before entering. - The tax office's certification of the fulfillment of the tax obligation proves that the player with taxable income is from grade 3 or higher on Personal Income Tax Law within 1 year before entering the casino. 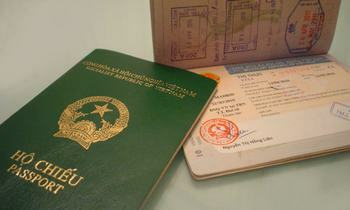 - Other documents prove that players have a regular income of VND 10 million per month or more. Not only casinos, but Phu Quoc Casino is also a complex of high-end facilities, whereas, the most prominent is 10 luxury villas of Vingroup corporation. The resorts with casino and nearby amusement areas are considered having a lot of potentials to attract the visitors because this is considered a coming place of the super rich when coming to entertain at the Casino. 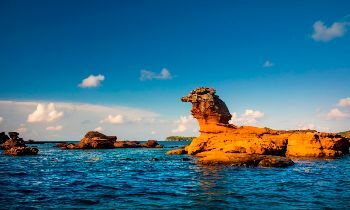 Besides wonderful and attractive landscapes, the casino is also known as the most attractive things in Phu Quoc island. 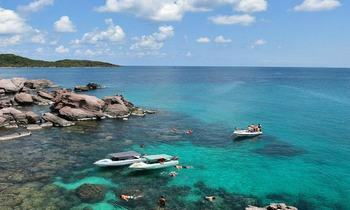 It is the reason why the island always attracted a lot of tourists visiting each year.